After years of playing catch up with its peers, the 4th generation incarnation of the Infiniti M comes of age. 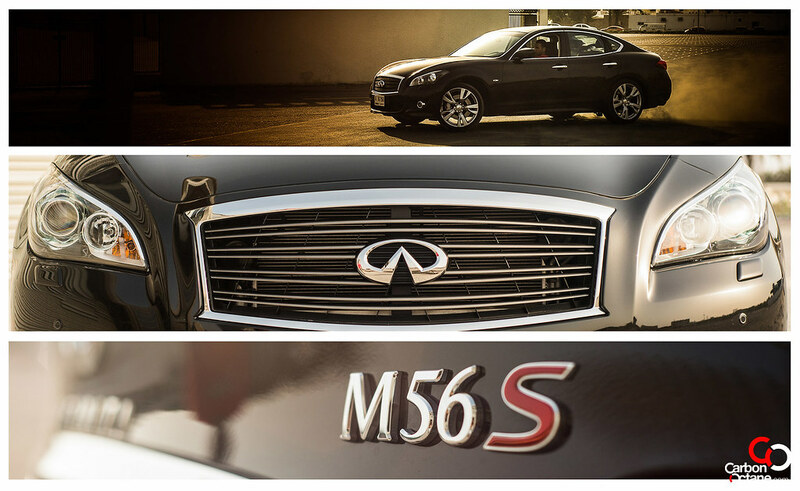 Since there is no replacement for displacement, the 2012 Infiniti M56S now packs a mighty 5.6 Litre V8 in its rather curvy silhouette. The looks and stance of the new 2012 Infiniti M56S got my attention the moment our tester was delivered to my work place. 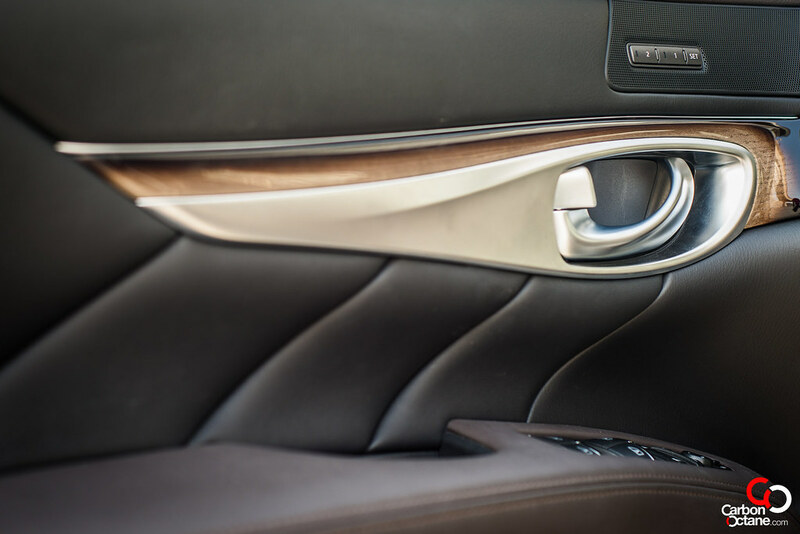 Walking down the steps and looking out of the glass doors I could sense that the art work has been seemingly precision cut by the Japanese Katana blades, an inspiration which is reflected in the grill design of the Infiniti M56. 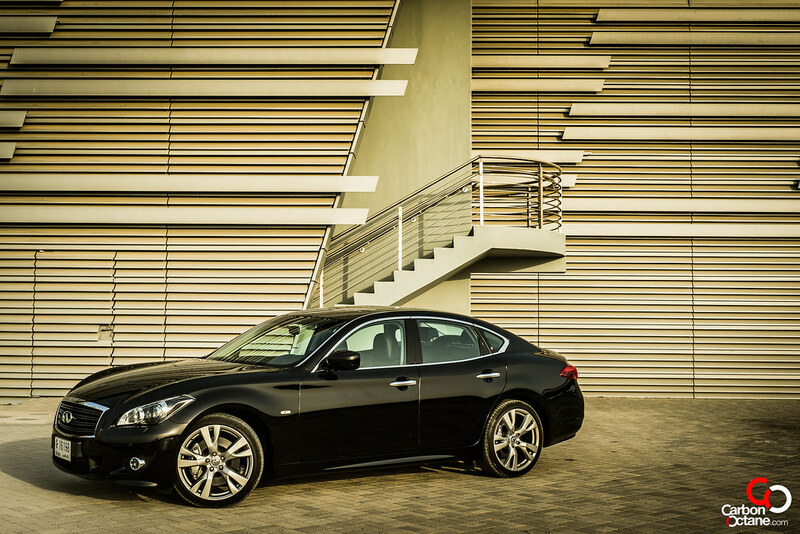 The M56’s design inspiration comes from the Infiniti Essence, a concept car unveiled at the Geneva Motor Show 2009 to commemorate the 20th anniversary of the Infiniti brand. The outer shell seems to have been carved by artists with inspiration taken from nature. 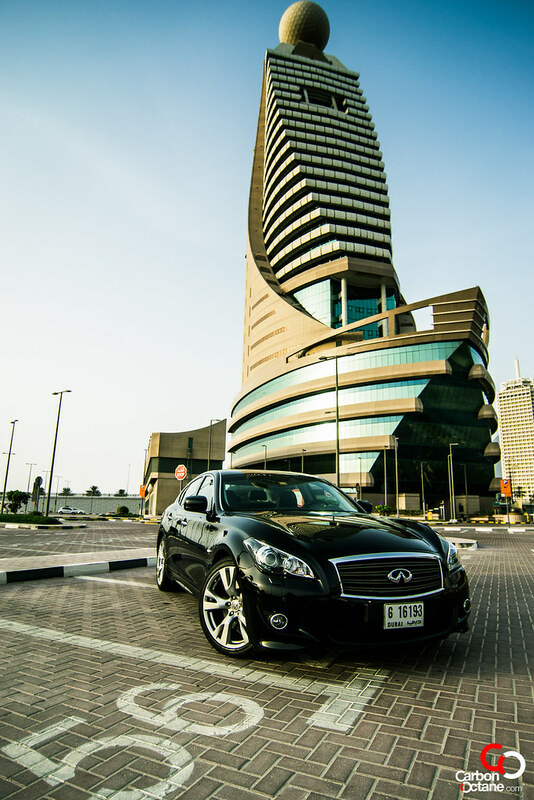 The rather uniform and flat surfaces we normally associate with being man made is forgone on the Infiniti. This design philosophy is not restricted to the outer shell but also transcends into its interior. 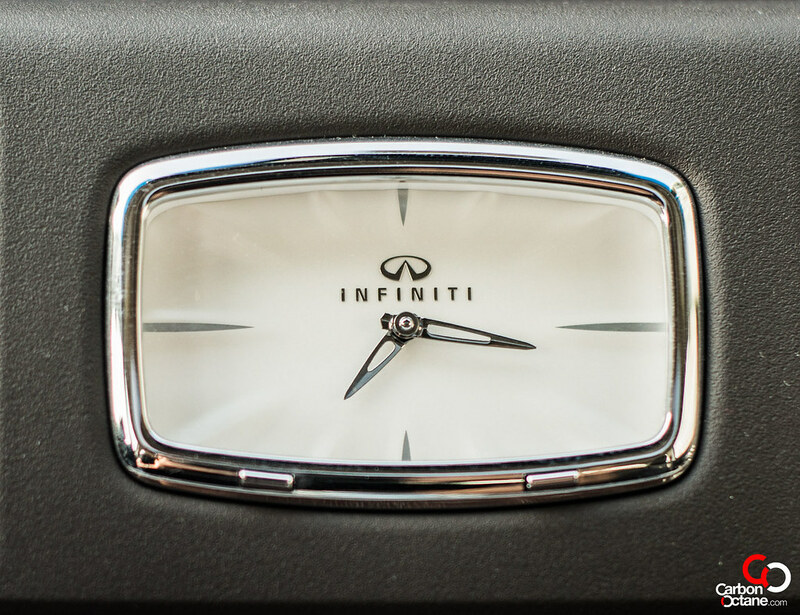 The dashboard and trim outlines on its doors reminded me of the flow air on a car in a wind tunnel. 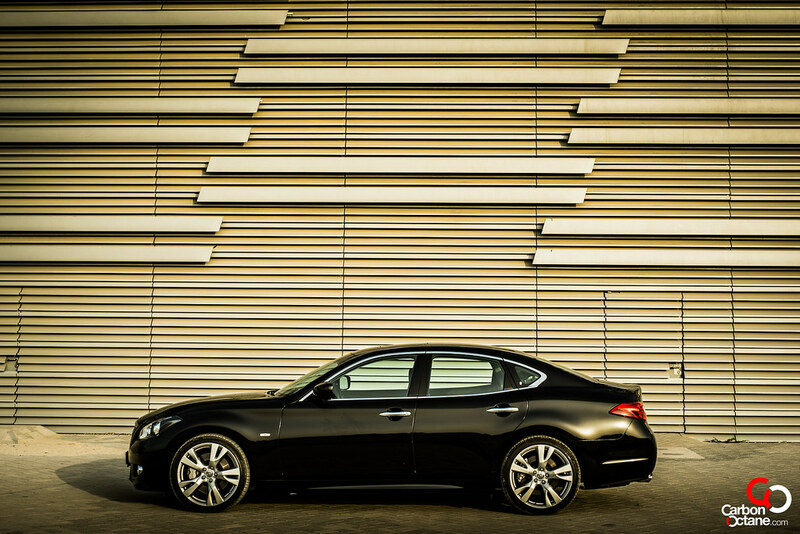 From the land of the rising sun, the Infiniti M56 looks by far the most fluid in its architecture. 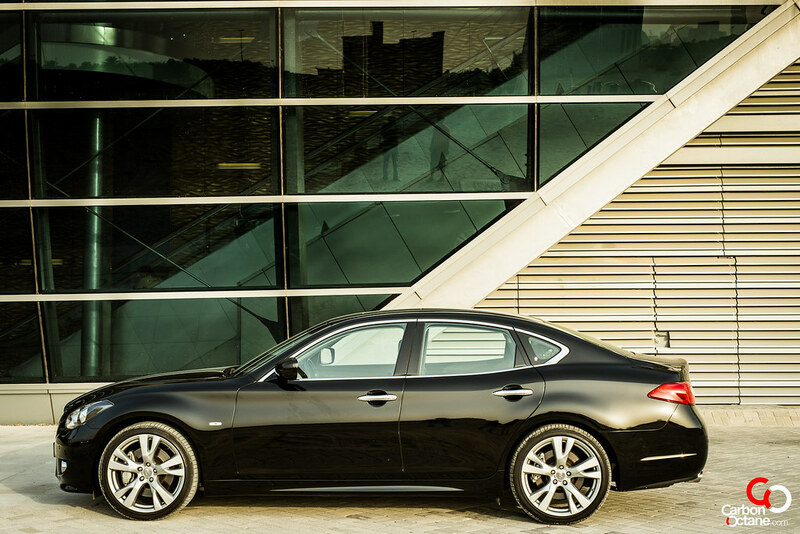 It is Infiniti’s flagship the Infiniti M56S though there is a less sporty version in the form of the M56 and one that comes with an even smaller engine, the M37 which shares the same engine as the Infiniti G37. 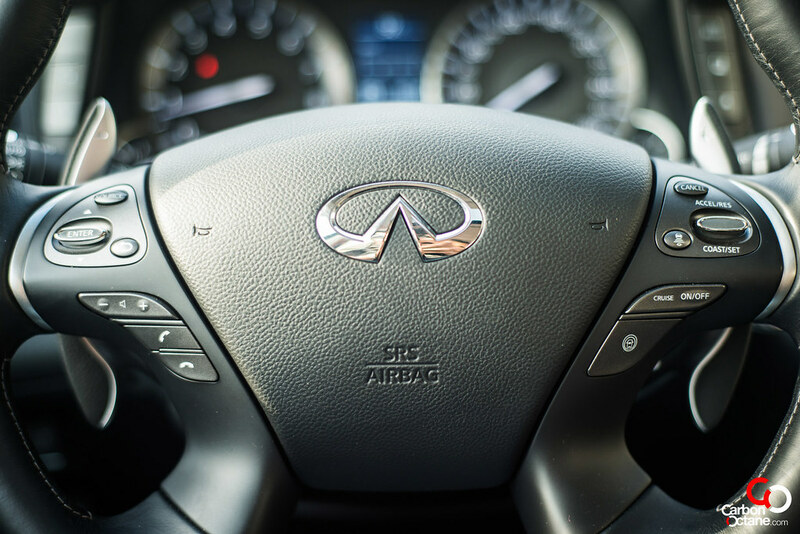 We would like to point out that being the flagship of Infiniti it does not rival the Mercedes S Class or its likes but rather the medium segment premium cars in the form of the Mercedes E500, BMW 550, Audi A6 and the Lexus GS 460. 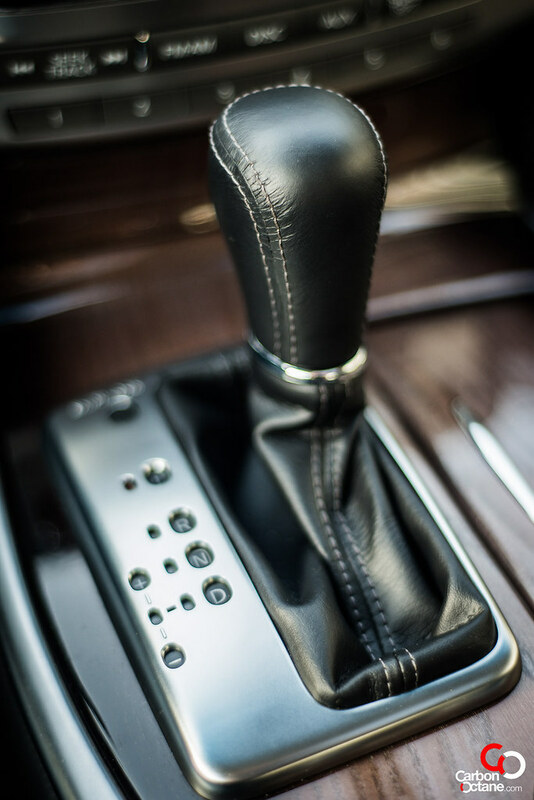 The 5.6 Litre V8 provides for 402HP to be exact at 6000rpm and 565Nm of twist at 4400rpm. 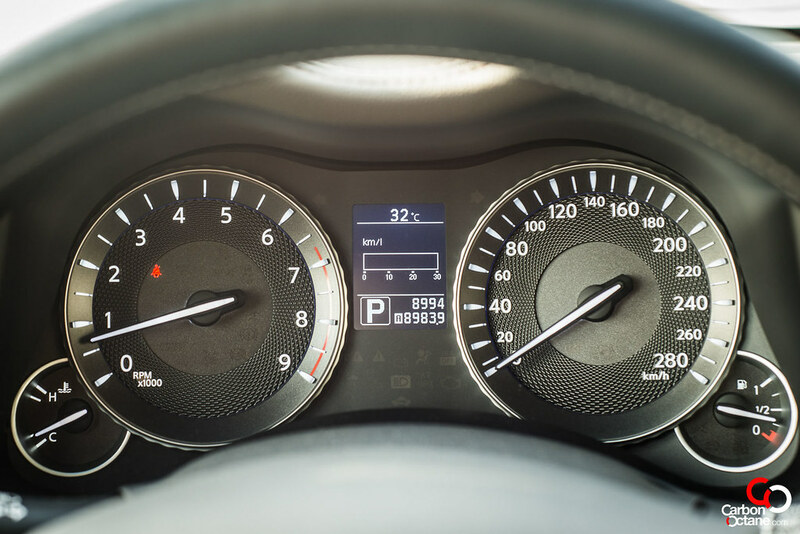 The idle rpm is set to 2000 which gives the rear tires relief from a heavy footed driver and lays the power well on its way to a sprint to 100kmph in around a nudge over 6 seconds. 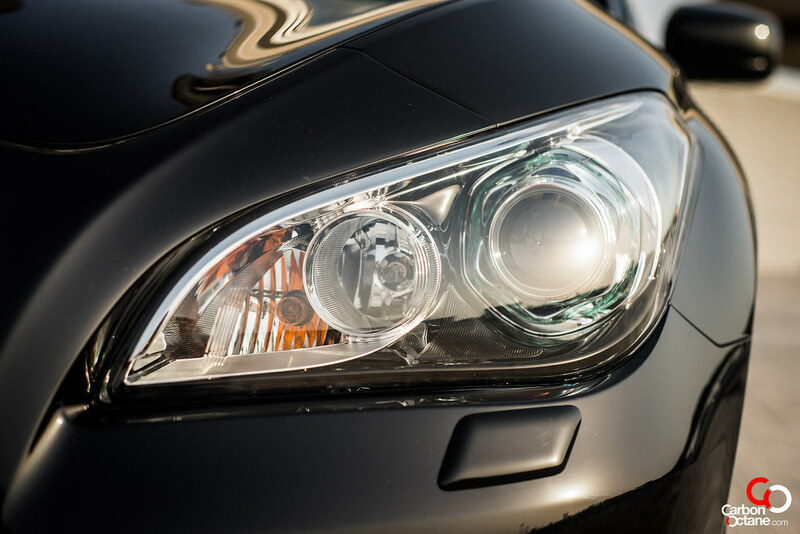 There are times when the traction control light would start flashing, but it’s just a signal from the car telling its operator that things are under control. 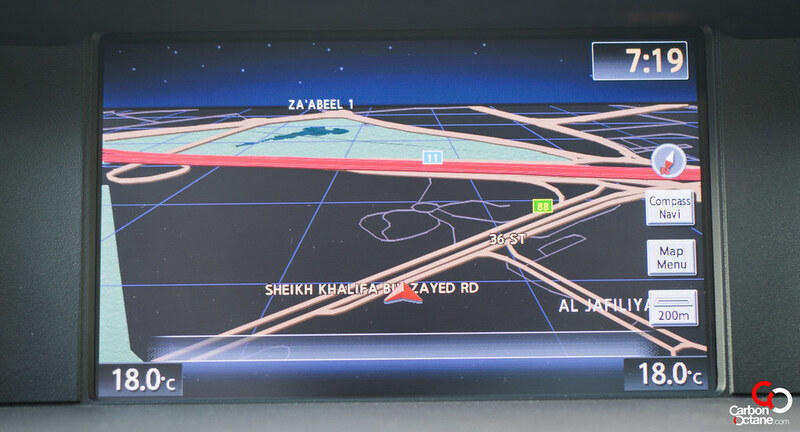 Our tester was the “Sport” variant of the M56 and it came with a sport tuned suspension with double piston shock absorbers and 20” rims fitted on low profiled tires for better agility around the corners. 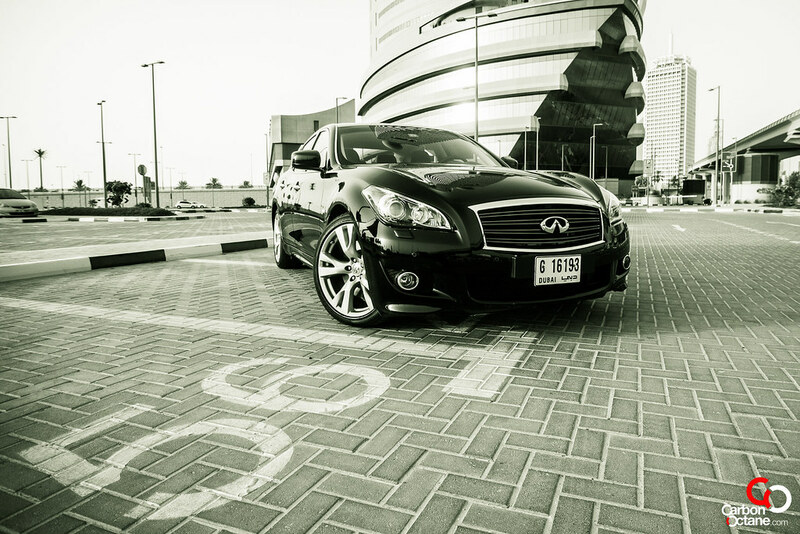 This resulted in the ride being a tad stiff on Sheikh Zayed Road however once the magnesium paddle shifters were engaged and eyes fixed on the apex around an interchange, the Infiniti M56S made us forget that. 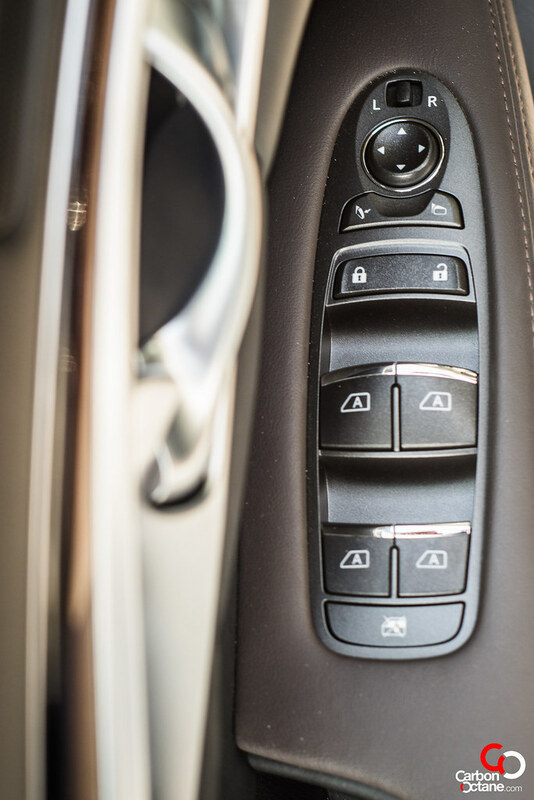 Depending on the mood of driving the M56S offers, like the rest of its competitors, the ability to switch between different modes of driving; namely Eco / Standard and Sport. 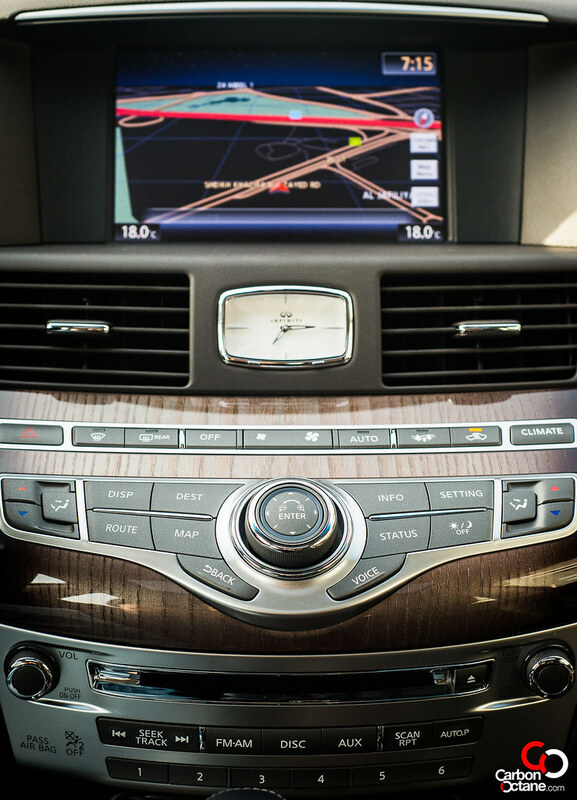 While on Eco the car felt that it was getting gas injected through a crushed straw; it was the Sport mode which made us rather weak kneed. 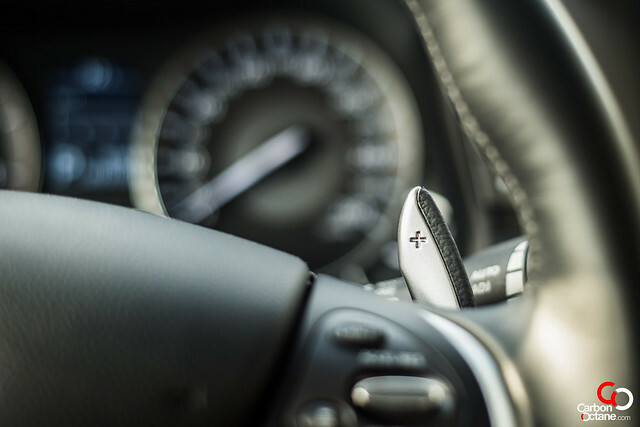 Rev matching on manual downshift and the ability to perform crisp gear shift through the magnesium paddle shifters was a delight which we explored throughout our time with the car. The interior welcomes its occupants with rather plush seating arrangements. 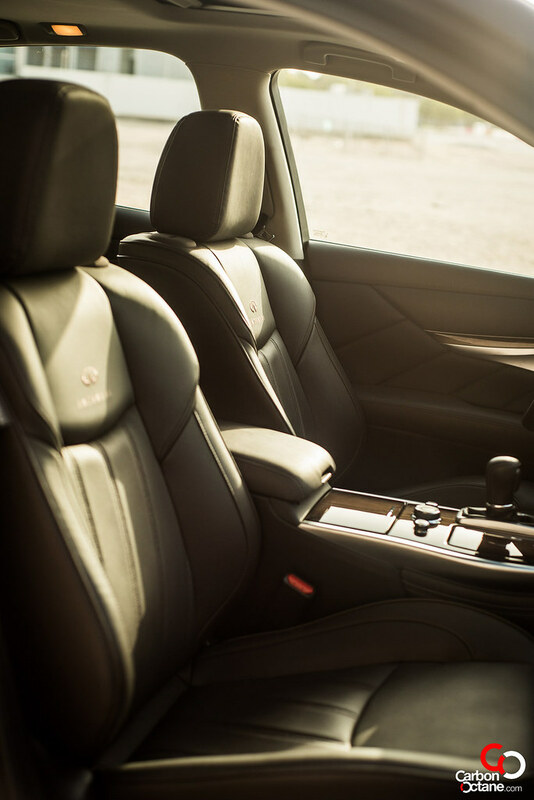 Vented seats and a 16 speaker Bose is guaranteed to de-stress the driver and the passenger. 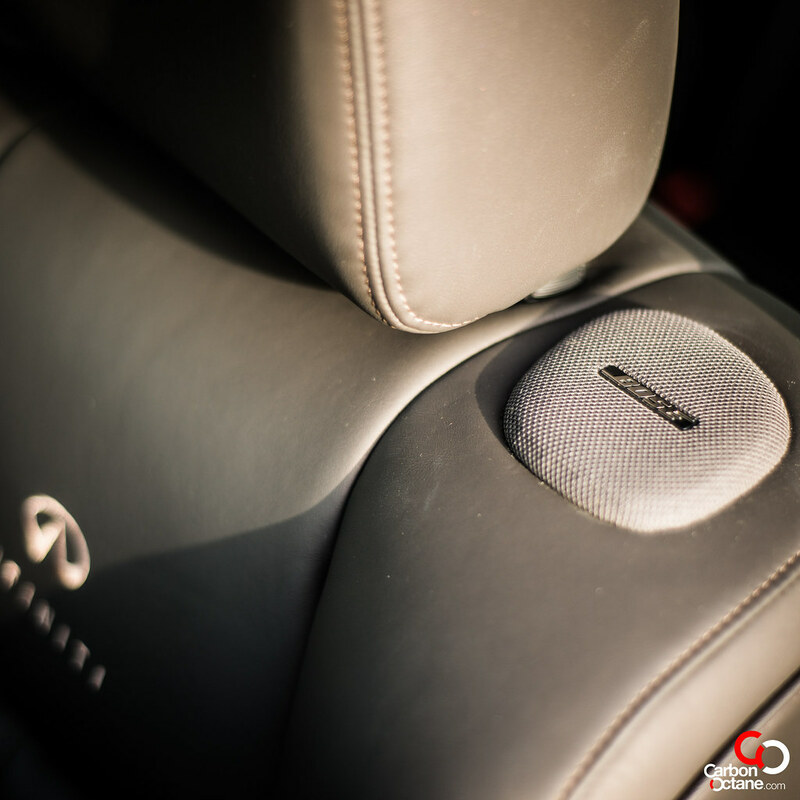 Small industry first details are incorporated into the front seats such as two small shoulder speakers located on either side of the head rest, placed in an effort to produce true surround sound experience in the car. 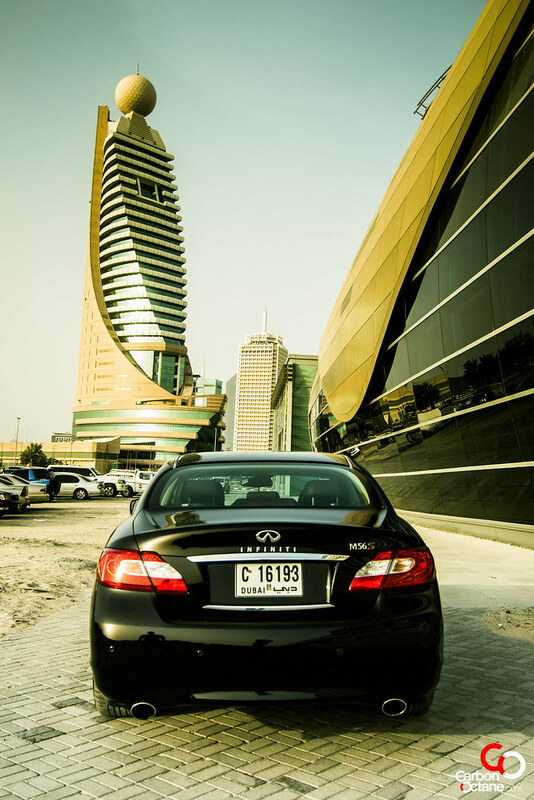 The 2012 Infiniti M offers different packages for different tastes. Those seeking comfort can opt for the M37 or the larger (displacement wise) M56, but for the spirited ones the M56S is a good blend of comfort and occasion hooliganism.